On Saturday 4 November, news broke that at least 11 members of the Saudi Royal Family, in addition to dozens of senior officials and prominent businessmen, had been arrested as part of an anti-corruption probe by the Saudi anti-corruption committee. The committee had been created earlier that day by royal decree from King Salman and is chaired by his son, Crown Prince Mohammed bin Salman (MbS). It has the right to investigate, arrest, ban from travel, freeze accounts and portfolios, and track funds and assets of individuals involved in corruption practices. The high-profile arrests reportedly include Prince Walid bin Talal, a multi-billionaire and Chairman of Kingdom Holding who has major stakes in News Corp, Citigroup and Twitter; Prince Miteb bin Abdallah, former head of Saudi Arabia’s National Guard; Prince Turki bin Abdullah, a former governor of Riyadh; Saleh Kamel, owner of Arab Radio and Television Network; Ibrahim al-Assaf, a former finance minister; Adel Fakieh, an economy minister; Bakr bin Laden, chairman of the large Saudi Binladin construction group; Nasser Bin Aqeel Al Tayyar, board member of Al Tayyar Travel; and Alwaleed al-Ibrahim, owner of the MBC television network. In a separate incident on Saturday evening, a long-range ballistic missile reportedly launched by Houthi rebels in Yemen was intercepted near Riyadh International Airport. A Houthi spokesperson said that the missile had been launched in response to a suspected air-strike last Wednesday by the Saudi-led coalition which reportedly killed 26 people. Earlier that day, Prime Minister of Lebanon Saad Hariri resigned from his position, claiming that his life was in danger and accusing Iran and its Lebanese ally Hezbollah of destabilising the region. Hariri is a Sunni politician widely understood to be backed by Saudi Arabia and his statement was made from Riyadh. The man behind the arrests – Crown Prince and heir apparent Mohammed bin Salman (MbS) – has been behind the most dramatic shake-up of Saudi politics in recent times. He has steadily amassed more and more power in the country since his father King Salman acceded to the throne in January 2015. As Minister of Defence, MbS personally mobilized Saudi Arabia’s intervention in Yemen, which has turned into a long costly war of attrition. 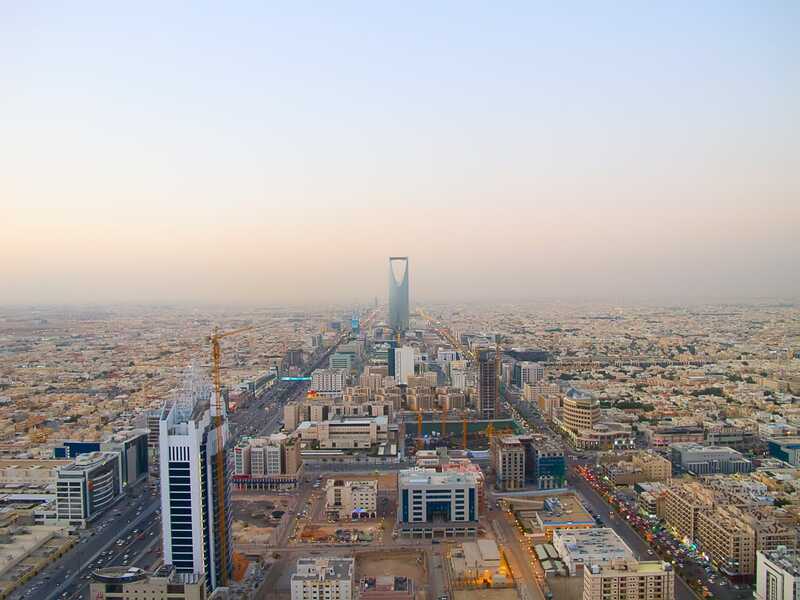 He is also the figurehead behind Vision 2030 – an attempt to diversify the Saudi economy and modernise society, in addition to the planned listing of Saudi Aramco. In June 2017, MbS ousted his cousin and paramount security official Mohammed bin Nayef, replacing him as Crown Prince and first in line to the throne. MbS controls the levers of the economy, foreign policy and defence, and has also intervened heavily in social issues, most recently with the lifting of the ban on female drivers and his plan to extinguish religious extremism in the country. Shortly before the ban was announced, a number of senior Saudi clerics, journalists and activists were arrested. The detention of senior members of the Royal Family and other powerful businessmen can be seen as another bold step in MbS’ trajectory towards absolute power. MbS’ ascent comes against the backdrop of increasing regional tension between Saudi Arabia and Iran, who are on opposing sides in Yemen, and who reportedly back Sunni and Shia groups respectively across the region (in Iraq, Syria, Lebanon, Yemen and parts of the Gulf). As such, apparently local developments (such as the resignation of Saad Hariri and the ballistic missile) are heavily connected to wider regional dynamics. Western actions, such as the 2015 Iran nuclear deal, have also contributed to Saudi Arabia’s growing sense of isolation and tendency to take more aggressive, unilateral actions which may not be allied to US policies (such as the June 2017 Qatar sanctions). President Trump’s public criticism of Iran and warming to MbS has likely reduced Saudi Arabia’s concerns about the US in recent months and emboldened the Crown Prince. From a compliance perspective, what are the key questions? The allegations directed against those arrested centre around reported corruption and exploiting their positions to the detriment of the public interest. A number of those arrested include ultra high-net worth and highly respected businessmen with global operations and large stakes in Saudi-listed companies. It is unclear at this stage whether formal charges will be brought against those detained. It is unclear at this stage what the arrests will mean for the assets of those detained, both in Saudi and overseas. However, the powers of the anti-corruption committee are vast and include the right to investigate, arrest, ban from travel, freeze accounts and portfolios, and track funds and assets of individuals. That MbS has taken another bold step is not altogether surprising in the context of his dramatic rise to power over the past 3 years, which has been characterised by impulsive, aggressive and risky domestic and foreign policies. He has in part been able to carry this off by present himself as a reformer, and he has considerable support among Saudi Arabia’s youth (51% of Saudis are under 25 years of age). But for foreign investors, his tendency for unpredictable announcements and belligerent language towards regional adversaries causes concern. The latest arrests could have both short and long-term damage for the economy, and potentially catalyse wealthy Saudis to move their money out of the Kingdom. Analysing the commercial exposure of detained individuals in the Kingdom and overseas. Evaluating the veracity of allegations of corrupt practices. Identifying and analysing potential reputational issues relating to the individuals caught up in the arrests, and companies linked to them.